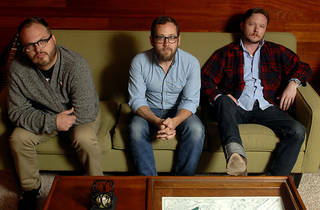 When Justin Kinkel-Schuster and Andrew Bryant spent a weekend recording music in Mississippi three years ago, they didn’t realize that they were working on what would become the first Water Liars album, Phantom Limb. Combining bitersweet harmonies and sparse instrumentation, the duo's stark, confessional songs confront heartache, loss and betrayal with palpable sincerity. On Water Liars' latest, self-titled release, the band continues to solidify its reputation as truly impactful songwriters in the same vein as Jason Molina and Will Oldham. We caught up with singer-guitarist Kinkel-Schuster on the road and spoke about life as a working musician. Your latest record is self-titled. Is there something about the album that makes it feel like the quintessential expression of Water Liars' style? We’ve always tried to work within a variety of different styles. We felt like this record is diverse in a way that our previous two records tired to get at. This one was a little bit more intentional—we set out to make a record that encapsulated different kind of songs. Because of that, there wasn’t an overarching theme or phrase that seemed like it would be a good record title. You recorded your debut record over the course of a weekend. Was the new album a similarly spontaneous affair? No, it was quite the opposite. We recorded the new record over a series of three different sessions during the spring and summer of last year. At this point, we’re completely concerned with trying to make our songs sound as good as we can. We’re in a better position to take the time and have the space to do that. 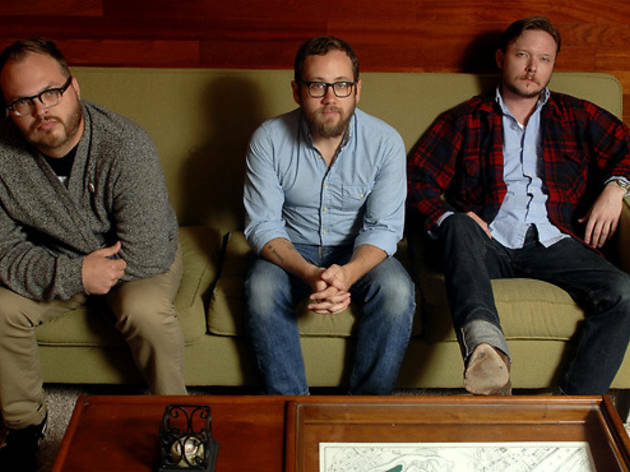 The latest Water Liars record is the group’s third record in as many years. What drives you to keep creating at such a rapid pace? I don’t really see any other way of doing it. It doesn’t seem unusual to me because we’re always writing and we’re always working. That’s how it used to be in the '50s and '60s, when artists would put out a record every year. That’s the whole point of making any art, really—I don’t know you would try to it for a living if you weren’t going to try to do it all the time. Your latest record is the first to feature G.R. Robinson on bass. What made you decide that it was time to add another member to the group? As soon as we were able, we wanted someone to at least come out and play bass with us on the road. We met G.R. through a mutual acquaintance and stayed in touch. He agreed to go on a tour with us and it just clicked. We’ve all made music with different people for years—finding someone you can get along with 24 hours a day on the road is really rare. As soon as it became clear that we could work together both musically and personally, we figured that we should do it as much as we could. You guys are constantly on tour. How have you managed to adapt to a life that’s mostly spent on the road? It doesn’t really affect that way I work as a musician so much as it affects the rest of my life. It’s just like anything else though—after a while you do the same things each day and there’s a comfort in that. For all of us who have significant others and families, it definitely takes a toll. When you’re not on the road, you have to make a conscious effort to be present during the time you spend at home. Water Liars recorded a cover of “Just Be Simple” for the upcoming Jason Molina tribute record, Farewell Transmission. Why that particular song? That song and the record that it came from [Songs: Ohia’s The Magnolia Electric Co.] have been absolute touchstones for Andrew and I, as both writers and musicians. It’s a song that I wish I had written. It addresses what we just spoke about—trying to live the life of a musician as best you can. There’s really no better way to say it than the way Jason did. It’s perfect. Water Liars play Schubas March 6 at 9pm.